I’m drowning over here in my house, y’all. Sure, we’ve gotten tons of rain lately (which is weird), but that’s not what I’m talking about. I am drowning in projects! I’ve talked about it before (remember my DADD post from years ago)…but sadly, nothing has changed. I won’t even begin to try to name them all. 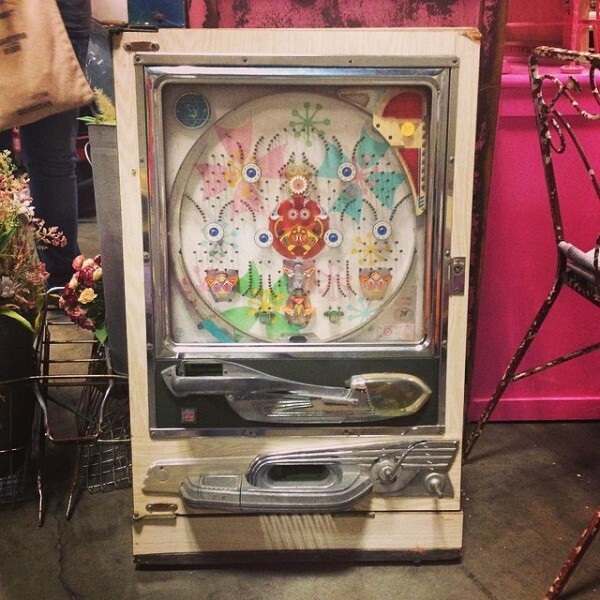 But, I do have 2 beds in my garage that need paint, closets that need to be built and a vintage pachinko machine that needs to be reconditioned. But really, the biggest, baddest, most looming project that I have is to finish painting my Mary Blair inspired feature wall. I finally finished drawing it out, but this is all the painting I’ve made time to do in the last two weeks. TWO WEEKS, y’all. I need someone to light a fire under my rear so that I can get this finished, but I don’t have a boss here to make me work. So, I’m going to light my own fire. 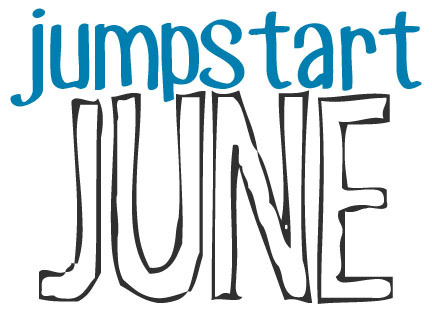 Today, I’m announcing a new theme on the blog: Jumpstart June. And I want you to get in on the action, too. Here’s what we are going to do. I want each of you who are drowning in projects like me to pick at least one thing you want to finish in June. Just one. It can be something huge like redoing a room, or it can be something small like cleaning out a closet. It honestly doesn’t really matter what it is, as long as you pick something. Once you decide, I want you to comment below with the one thing you want to be able to cross off of your to do list by the end of June. And then, once a week this month, I’m going to check in and show you the progress I’ve made on my project. On each weekly check-in post, I want you to comment and tell me how your progress is going. See? We are going to keep each other accountable. I’m not going to hunt you down or email you if you don’t check in (unless you want me to! ), but I think the weekly reminder will help you (and me) keep that goal. I mean, we all try to do those “30 days of push ups” things. This is way easier than that, right? The project I’m picking to finish for Jumpstart June is my Mary Blair feature wall. What’s yours? I can’t wait to hear! PS – If you are reading this post via email or in a feed reader, you’ll need to click here to come over to the blog to leave a comment with your project. I’m going to paint the wall in my daughter’s room, put the wall decals up, upholster her bed and sew her curtains. She’s almost 3 and needs to get out of her crib! I am going to get all the boxes in my dinning room unpacked and put away. I moved from a three bedroom ranch into a two bedroom townhouse in January and I still have a ton of stuff packed up waiting for a home, either mine or someone else’s. We moved to San Antonio at the end of last June when my daughter was 3 months old. I took this year off from teaching to stay home with her and tutor online. Baby and part-time work has not left me time to unpack my craft/teaching room, a year later. My plan for June (now that Baby Girl is 15 months and slightly self-sufficient) is to get that room unpacked so I can do some crafts before going back to teaching in the fall. It is also my work room for grading and planning, so I have to get it together. We are out of state visiting family right now so I will be a week behind, but I will do it before June is over!! What a great idea! I do SO need accountability… other than from my husband. I need to finish our living room. Painting some trim, sewing some curtains, and hanging some vintage funsies on the wall. To June! I don’t know where to begin because I too am drowning in projects. I have a couple items to finish painting an upholstering for a client but that NEEDS to be done. So my project will be painting and updating a dining room table and chairs that is in my work area for nearly a YEAR! Crazy huh? 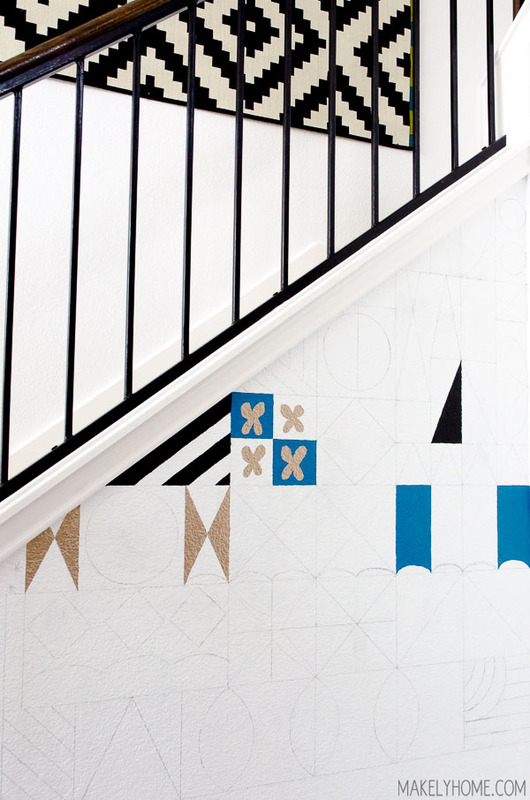 Love this idea and your creative wall! I am relocating from Seattle to Maui the first part of July. Sounds amazing doesn’t it? The only problem is I’m moving from 5,000 square feet to temporary housing at 850 square feet. The home inventory reduction continues; two moves afoot – one to get there and another when we find a home. In the meantime the Maui condo is being renovated somewhat. So, my project is to retire with my husband and move our household and vehicles. And yes, I’ve done most of the advanced packing! I make a To Do list everyday – that is manageable – and I think I’m on schedule. Given the size of this project I’m just hoping nothing huge falls through the cracks! July 13th is our flight out. I’ve got these great plans to organize my girls’ rooms. A pegboard accessory board is a big part of that! So that’s my project. My husband and I bought all the Restore product materials to preserve our old deck…abouth 3 years ago. I now need to replace some stair treads before I can start staining and painting. See? I am always finding an excuse to get that underway. Wish me luck and thanks for the jumpstart. BTW, if anyone has any ideas for using trellis for privacy I would welcome them. I have a full size quilt top that has been finished for months! All I need to do is sandwich it together and quilt. This will help inspire me to complete. This is brilliant! I have so many projects, but my June is insanely busy. However, for months I’ve had the supplies to turn a picture frame with no glass into a hanging jewelry organizer. I will get it done this mont! I ADORE Mary Blair. With all my heart! I can’t wait to see your feature wall, and I think I’m going to steal this idea when I have my own home!! We’re renting right now so I have boring beige walls, bleh!! I also think this is an amazing series and project!! I’m excited to see your progress and share mine!! At the end of this month my husband’s best friend is moving in with for 9 weeks while he attends the police academy. So my Jumpstart June project is two parts…I need to convert my at home art studio back into a guest room, prepare his guest bathroom (there are some leaky fixtures in there), and I want to finish refinishing (that’s an awkward mouthful!) my kitchen table! Whew! It’s like you were reading my mind. I have all these great ideas to start projects, half done projects and almost done. so I’m going to finish the curtains for my backyard makeover and post it on pinterest! thats my goal. love your site just found it this morning. I love this! My project for the month is to get the windows installed. And have the new front door installed – I just have to get it done. And have the bathroom mirror, which was destroyed by a previous contractor, replaced. I really, really have to get THAT done. I started painting a cabinet in my lounge over 3 months ago, and I’ve still only put one coat on the front. I really need to get this finished! Motivate me! I’m 7 months pregnant and right now the nursery is just covered with furniture projects and crap that I don’t know what to do with!!! I should realllly get some stuff done in there. I guess I’m not in too much of a hurry because I have a cradle for our bedroom (where she’ll stay until she sleeps through most the night) AND we are probably transferring a month after her arrival! More feasibly, I think I’ll commit to organizing my downstairs coat closet and pantry for your Jumpstart June!! <3 So, that's what we'll go with!! !